Today we’d like to introduce you to Betsy Garcia. Betsy, please share your story with us. How did you get to where you are today? Growing up, I never considered myself an artist, and I never imagined that I would be making art for a living. My plans were always to pursue a career in medicine, and I got as far as taking the MCAT and applying for medical school before I discovered that I wanted to follow a different path. As a child, I always loved to draw, but it wasn’t until middle school that I started to develop my skills and learn new techniques and art forms. At the time, I was attending a charter school that greatly infused art instruction into their curriculum, because of this I was able to take classes such as painting, fiber crafts, and graphic design. I took a special interest in graphic design and took several classes during my youth. After middle school, art and graphic design took a back seat and I began focusing more on academics and becoming a doctor. This continued until I graduated from college and began applying for jobs and medical school. I soon took a job as a middle school science teacher, but needed an escape from the pressures of teaching and began drawing and digitally illustrating again. From my illustrations, I started developing a line of illustrated greeting cards and art prints and with the help of my fiancé Luis, decided that I wanted to start my own creative business where I could dedicate myself to making art. We then came up with a name for our business, a business plan, and created our first website. 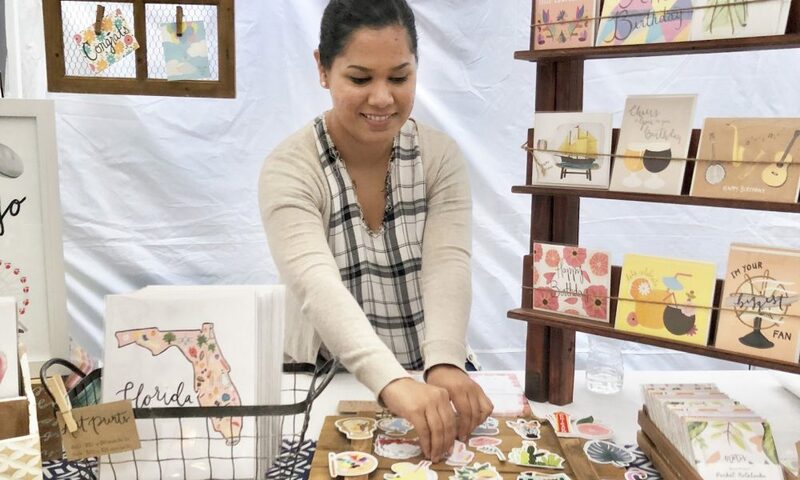 We began selling Bloomwolf Studio products on Etsy, through our website and at local markets, and our products are now carried in more than 130 shops and boutiques throughout the world. Bloomwolf Studio has since turned into my full-time job, and we have two part-time employees that help with wholesale and fulfillment. I am not sure if running a business is ever smooth, and I think that having bumps along the way is even essential to the growth and development of a business. Some of the biggest struggles that our business has faced have had to do with the production of our products. From the start, we have always made it our goal to have the best quality products for our customers. 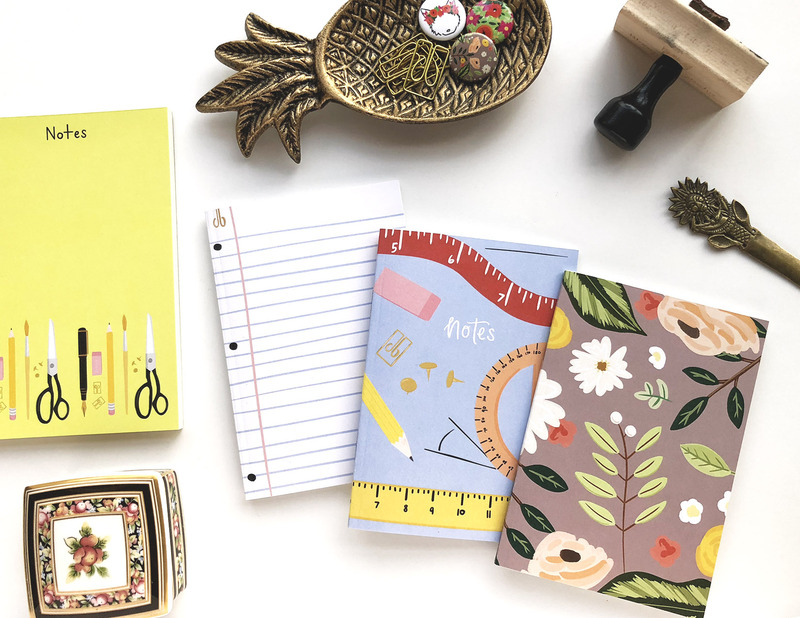 Because most of my time is spent illustrating and designing, we work with local print shops to print our cards, art prints, notepads, and notebooks. In order to find the right print shops for the job, Luis and I have had to invest time and money in visiting facilities, placing orders, and working closely with these businesses to get our products just right. And even after all of this, we still have mishaps happen sometimes. Luckily, we have been able to learn from the mistakes made, and now know exactly what to look for with each print run, and know never to settle or compromise the quality of our products. Bloomwolf Studio – what should we know? What do you guys do best? What sets you apart from the competition? 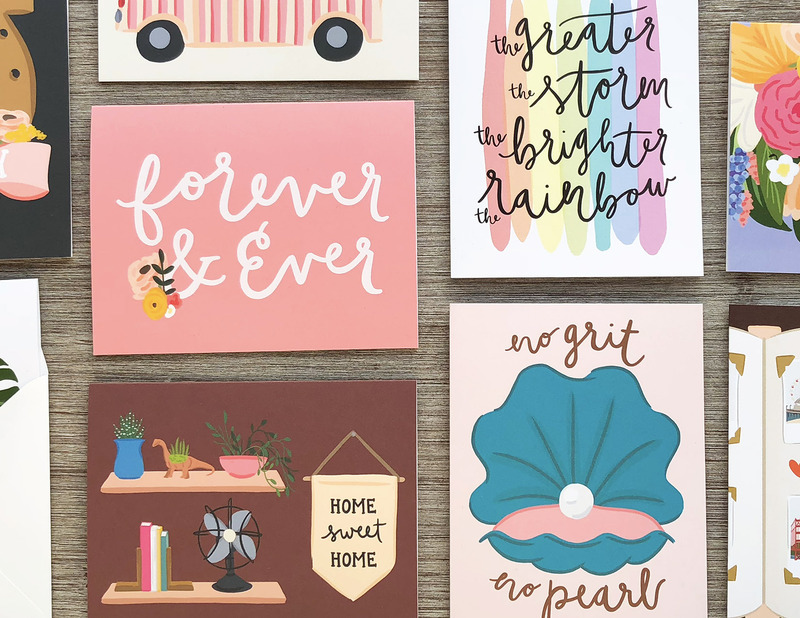 Bloomwolf Studio is an illustration and design studio that aims to provide high quality, environmentally friendly products that are cheerful, colorful, and help you share meaningful moments with those you love. 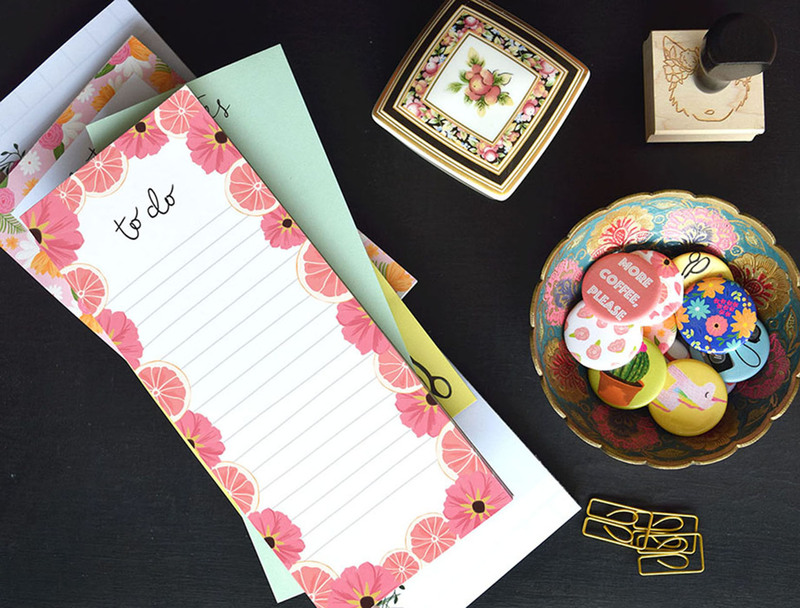 We design and create greeting cards, art prints, stationery, and other gift products, that are meant to excite you and motivate you to do the things that you’ve always planned to do. We also create products that are meant to remind you of a special person or experience, and that can be gifted or added to your home and cherished for years to come. We strive to make connecting with loved ones easy and beautiful and treat you like family in order to demonstrate that our relationship with YOU is one of OUR most important relationships. 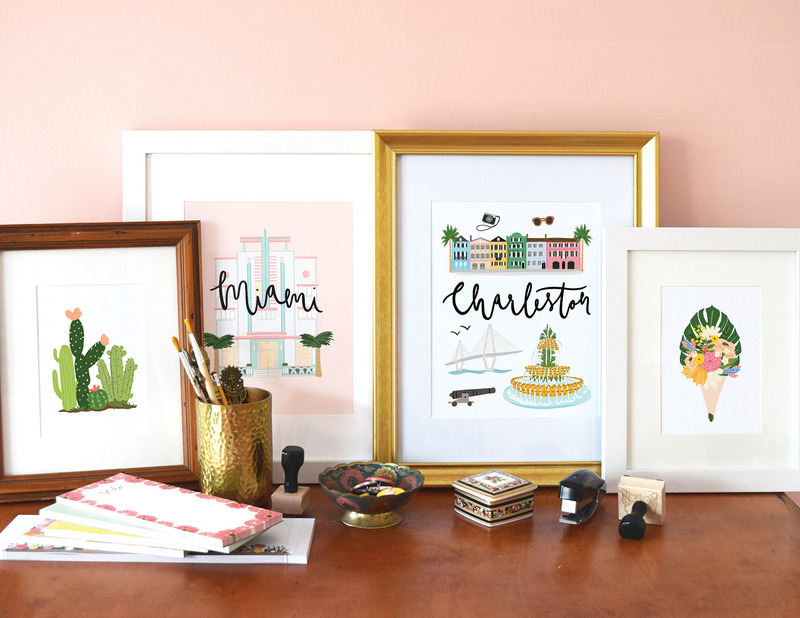 We are known for our colorful illustrations and our City Print series which features illustrations depicting beautiful and iconic landmarks from some of the most popular cities in the United States. Our Miami Prints are definite favorites! I would have to say that the proudest moment in my career was when I took the leap and started my business. I never in a million years thought that I would have a business, and especially not a creative one. My degrees are in Psychology and Biomedical Sciences, and Luis is a computer engineer, so when we started Bloomwolf Studio, neither of us knew anything about business, printing, shipping orders, exhibiting at trade shows, or working with wholesale customers. Through the use of Google and just researching everything related to our business, we have learned so much and are proud of the business we have built, thus far.